Hawaii, Ontario and California have green and distributed energy solicitations in various stages of planning or action, some directly tied to microgrid and smart grid efforts. Hawaiian Electric Companies recently laid out a near-term path toward its 30-year goal to achieve 100 percent renewable energy. Called the Power Supply Improvement Plan Update, it includes development of military microgrids and a range of green energy and smart grid improvements, according to the utility’s April 1 filing before the Hawaii Public Utilities Commission. The military microgrids are being designed to not only bring resiliency and energy security to bases, but also strengthen the larger grid by using diversified locations for firm generation. In addition, HECo sees the military microgrids as an economic development play. The microgrids show that Hawaii is capable of supporting core military missions and therefore will help ensure that the military remains a key sector of the islands’ economy, according to the filing. 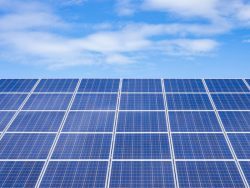 Hawaii already has microgrid projects underway at the Schofield Barracks, the Marine Corps Base Hawai‘i and Joint Base Pearl Harbor-Hickam. As part of its supply plan, the utility will issue competitive solicitations for a variety of renewable energy projects that together total 350 MW. The utility envisions the renewable projects coming on line by 2022 on Oahu, Hawaii island Maui, Molokai, and Lanai. Other aspects of the supply plan involve developing several energy storage projects, installing smart grid upgrades, creating a demand response management system, pursuing market-based distributed energy, and adding community energy and LNG supply. “We want to work with parties from all segments of our community – government, business, community, and environmental groups – to refine the plans for Hawaii’s energy future. And while the vision remains the same, a 30-year plan to get there will naturally change given the rapid development of new technology, changing policy and costs, and other factors,” said Alan Oshima, HECO president and CEO. In Ontario, the Minister of Energy says that the province is working on a request for qualifications for 93 MW of renewable energy. To be released by August 1, the RFQ will seek solar photovoltaic, wind, hydroelectric and bioenergy sources through what it calls its Large Renewable Procurement II (LRP) program. LRP II, which replaced the province’s large Feed-In Tariff (FIT) program, covers renewable energy projects generally larger than 500 kW. Ontario has set targets to procure up to 600 MW of wind, up to 250 MW of solar photovoltaic, up to 50 MW of hydroelectricity and up to 30 MW of bioenergy. An earlier LRP solicitation resulted in contracts totaling almost 455 MW. Of the 16 projects that won contracts, 75 percent received support from local municipalities. Meanwhile in California, San Diego Gas & Electric (SDG&E) is seeking bids by July 1 for 140 MW of new ‘preferred energy resources.’ These include distributed generation, energy storage, renewable energy, energy efficiency and demand response. The utility expects to short list bidders by Oct. 28 and complete contract negotiations in the first quarter of 2017. Contracts will then be submitted to the California Public Utilities Commission for review. The utility will evaluate and rank bids based on what it describes as a Least-Cost/Best-Fit approach. The involves analysis of both quantitative and qualitative aspects of each bid. SDG&E will compare proposals against each other, as well as gauge their value to customers. In 2015, SDG&E became the first California utility to supply 33 percent of its energy to customers from renewable resources. 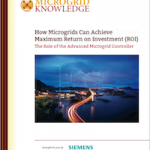 Track distributed energy, renewable and microgrid solicitations by subscribing to the free Microgrid Knowledge newsletter.